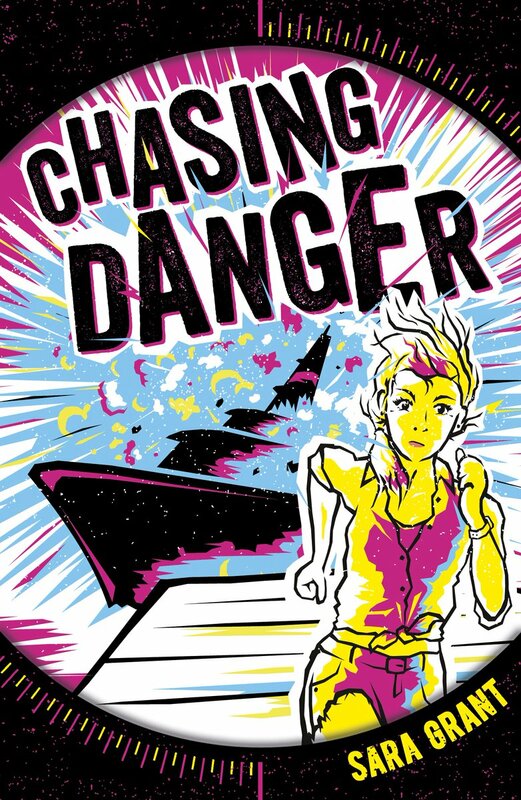 Welcome to my stop on the ‘Chasing Danger – Mystery at the Ice Hotel’ blog tour. You are lucky enough to have reviews of both action-packed adventures in this new series from the fabulous Sara Grant. In the first instalment in the series we are introduced to Chase (aka Charlotte) as she is seemingly abandoned in the middle of the Indian Ocean on a floating pontoon surrounded by sharks! Hoping for a quiet break whilst her military dad works on a top-secret project for the Pentagon, Chase is in en route to luxury island resort to go snorkelling and catch up on some graphic novels. However, fate seems determined that this won’t be the case from the outset. When she does eventually get to the island, Chase quickly becomes caught up in a blaze of gunfire as a crew of modern-day pirates launch an attack on the island. She and her new-found friend, computer expert Mackenzie, are soon running for their lives, trying to out-think and out-run the fearsome gang. The fate of the all the holiday-makers on the island depends on them. Absolutely crammed full of action from start to finish. It will leave you gasping for breath and debating your own survival skills in the same situation! If you enjoyed the action in the first in the series, its follow-up won’t leave you disappointed. This time, Chase and Mackenzie are back but Mackenzie is in hiding as Berkeley after being ‘presumed dead’ after a close scrape with some pirates on a tropical island in the Maldives. 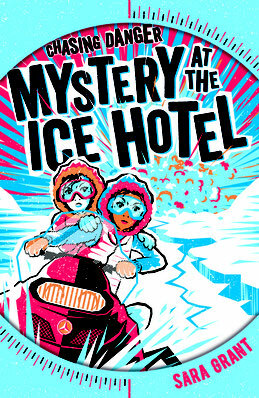 Chases’ grandmother, Ariadne, has started up a new business venture at the Winter Wonder Resort in the Arctic Circle. Team ‘Love Late in Life’ aim to provide love matches for more mature clients. The girls are there for the VIP launch but things start going wrong straight away, when the steering on their dogsled fails and the girls end up careening over the ice and snow, clinging on for their lives. As more guests start to arrive, events take a more sinister turn and people go missing and a body turns up. Can Chase and Mackenzie solve the mystery or has the trail gone cold…? Just as action-packed as the first book, the pace is relentless as the story hurtles towards its conclusion. You’ll be hanging on by your fingernails as you try to figure out the killer before the girls do! Thanks for your lovely review. I’m thrilled you liked the books!!! I’m in the middle of reading the first book. It’s leaving me at the edge of my seat wondering what’s going to happen next! An amazing review!! !